Nusrat Fateh Ali Khan’s family migrated from Jalendhar India and settled in Layalpur/Loyalpoor Pakistan [now Faisalabad]. Nusrat Sahib performed in India frequently just like his second home. His collaboration with Javaid Akhtar in 1996 led to Sangam album in India, which introduced him to mainstream Indian Music industry. 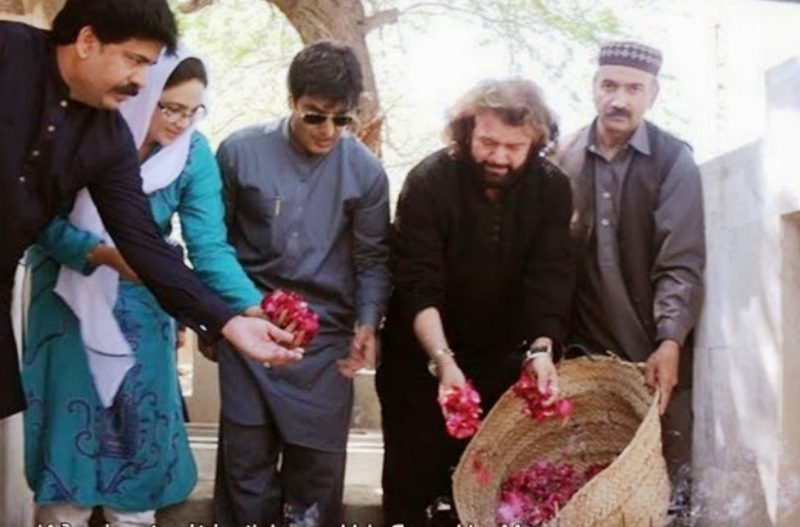 Indian Artists when visit Pakistan often visit Nusrat Sahib’s last resting place, as seen Hans Raj Hans here visitng Nusrat Sahib’s grave at Qabootraa Wala Qabarastaan [Faisalabad].